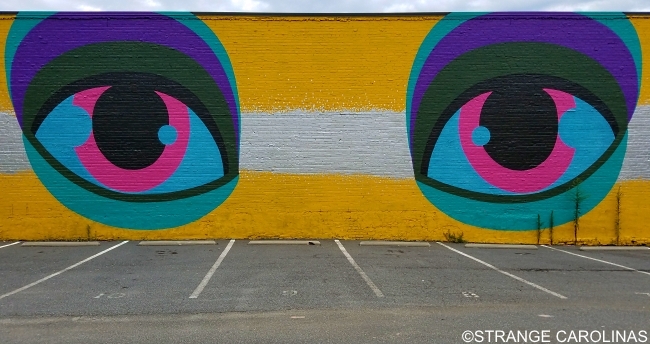 Los Angeles muralist The Art Of Chase created this mural in Greensboro in November 2015. Entitled "Remember," this massive mural can be found on the same building as Kendall Doub's "The Wanderer." Unfortunately, that building will soon be demolished and both works will be lost. The building was demolished today.